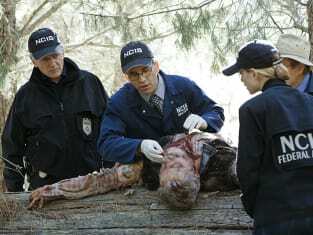 Ducky revealed his membership in an amateur Sherlock sleuthing club... Gibbs became the focus of a hot-to-trot member of that same club... Abby's full nature girl came to the fore... and Tony had to deal with slivers on NCIS Season 13 Episode 7. 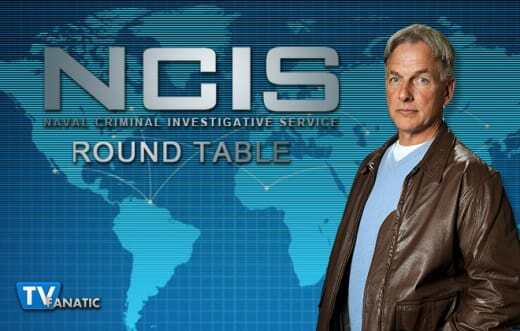 Below, TV Fanatic panelists Christine Orlando, David Taylor, Kathleen Wiedel and Douglas Wolfe hash out all of the above and more in this week's NCIS Round Table. Come join them and let them know your take! Christine: A tree’s not a witness unless it testifies. Christine: I liked that they tried to deal with what can happen when the science doesn’t work the way we originally thought it would. That poor man spent 16 years in prison. That’s horrifying. I also liked that Abby wasn’t willing to sit by and let the FBI deal with it. David: "Shut up, Lyle." You can HEAR the head slap Gibbs wishes he could have given. Kathleen: Going off of what David said, I liked the scene where Gibbs didn't say "Shut up, Lyle," but instead informed him that he had solved the case! The double-take on Lyle's face was really funny. Doug: One thing I've complained about is the habit writers have of having the characters talk about something without showing it. They didn't do that this time. When Tony and McGee discussed the horrifying way Bishop could resolve the curse of the bullpen, they actually had her do it. As silly as that scene was, it was actually a step up from the norm. I like that. Any moments that fell flat? Christine: Oddly enough, also the Abby story. As much as I enjoyed the hug at the end, I’m not sure it rang true to me. I wish they would have delved a little deeper into the consequences of scientific evidence gone wrong. David: I'll second Christine on this. Abby blamed herself far too much. She performed the test correctly, but it was the very use of the test as probative that was flawed. If anything, someone from the FBI (enter Fornell--how we miss ya!) should have been there for the apology. Also, the "hippie dippy" tree business could have landed on the cutting room floor in my opinion. Kathleen: I'll third regarding Abby's reaction to the flawed test. She pretty much turned the situation into a melodrama all about her. It may sound cold, but I'll say it anyway: Get over yourself, Miss Sciuto. You're not perfect. Now stop feeling sorry for yourself and do something about it. Doug: It's unanimous then. Our Abby would have castigated herself to death over the thought of her actions putting a man in prison (not to mention how many others?) for sixteen years. She wouldn't be satisfied with a hug at the end. That whole subplot wasn't consistent with her character. Judith and Gibbs: a match made in hell or heaven? What are your thoughts on her? Judith: What's in the basement? Gibbs: Hey! None of your business! Come back here! Judith: Is it your naughty room? Wanna know my safe word? Kielbasa. Permalink: Is it your naughty room? Wanna know my safe word? Kielbasa. David: I'm with Christine on this one too--I nearly laughed myself off the couch. However, I don't see them as a couple. She's very "will o' the wisp" and we all know that Gibbs' previous love connections have been with stronger, more level-headed and confident women. By the way, anyone pick up on the fact that home-alone Gibbs was watching TV in his living room and not working on some project in his basement? That's a first...if not a rarity. Kathleen: The look on Gibbs's face was incredulity mixed with annoyance mixed with utter frustration. Though I suspect that her... aggressive attitude may actually be a front for a much more vulnerable inside. Whatever the case, she's best in small doses. Doug: You said it, Kathleen. Small doses. I can't see them as a couple either but....I can see them hooking up once or twice. I'd love to see Gibbs come out of a room somewhere with his hair mussed up, only to be confronted by the team. And then to see Judith come out of the same room as she re-applies her makeup. Ducky’s still looking for companionship. Short of reading a book, and given that he’s already gone the computer dating and speed dating routes, what should be his next move? Perhaps he can get involved in something more active or done in a larger group or go on a singles vacation. Anything that gets him out of the lab and away from murder. David: I liked that line too, Christine, but I don't see him as the "singles cruise" type. Frankly, I was hoping that he'd continue with the Sherlocks because it fits so well with his intellect. Perhaps he'll change his mind. Kathleen: Poor Ducky, he just can't catch a break. I don't get why he gave up the Sherlocks. It's not like they're short of cold cases that have nothing to do with NCIS, after all, which was the whole point of conflict with him. Maybe this will dawn on the good Dr. Mallard and he'll give them another chance. Doug: I agree with you all. None of the modern methods of getting companionship will work for him; he needs to find someone who shares his interests. So, while the Sherlock club was ideal, I'm sure there are other activities out there with which he can get involved. Maybe some sort of British expatriates' club or something. And, sorry to say....a book won't do. Really Gibbs? That's your answer? Bishop: Attention squad room! I, Eleanor Bishop, am asking spirits of criminal science for a really hectic day! A crazy day where lots of things go terribly, terribly wrong. Ducky: He sends his regrets. Judith: Oh it's fine. I'll be seeing lots of him anyway. Agent McGee and I are collaborating on a new crime novel. And I'm basing my main character on the silver-haired devil. Short on words, but his eyes say plenty.